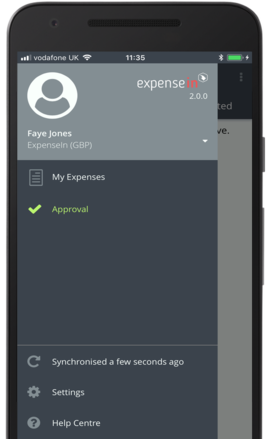 Apply personal Email Notifications and Expenses Settings on the mobile-app. 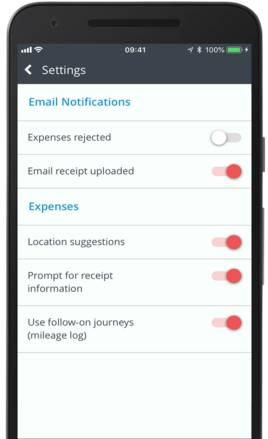 Access and change your personal Email Notification and Expenses Settings. 1. Once logged in, tap the three menu bars, found top-left. 3. Slide on and off to apply your own personal Settings. 4. Tap the back arrow, found top left, to be taken back to the home Menu.